We’re here for you, not the awards and accolades, but it sure is lovely to receive recognition for our hard work and skills. Our loyal clients aren’t afraid to sing our praises and we love them for it. But even those new to the salon feel inclined to drop us a line from time to time, to let us know how much they enjoyed their experience! "If you want the best, cheapest threading in Sydney, be sure to come here and request for Shova! She is a queen, and is so thorough and quick. Been coming here for years and I’m very happy with the price and how quickly everything is done. I don’t enjoy talking while I’m being waxed so in my opinion, it’s good when some of the girls seem a little disinterested 🙂 as long as they do their job :)"
"Denise is very professional, friendly, does great job, she is best in business." "I just wanted to say how thrilled I was to find your store in the Gold Coast! I am from Sydney and have recently moved to QLD. I was in desperate need of a leg wax and keen to find a place with reasonable prices. I couldn't believe my luck when I found you had a store in Pacific Fair, Broadbeach! Sammy (the BT) was fabulous by the way. Friendly, polite, professional and super clean store. I've been going to your Miranda and Cronulla stores in Sydney for the last few years and have now found you in the GC for my shopping and waxing trips! Please please open up more stores in QLD! (especially Hervey Bay, where waxing is totally over priced!) Congratulations on your chain of stores. I'm always in awe of you and how you have grown your business over the years. Hard work and determination an fabulous business sense clearly pay off. Thanks a million squillion. You're inspirational. " "I want to say how great I think the service at both your Bondi Junction and Eastgardens stores is. I always feel welcome, the service is quick and efficient and it’s just a really lovely experience, plus the girls are great. I recommended your business to everyone - great work!" 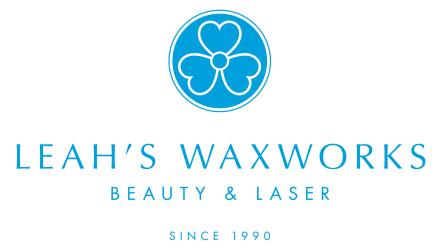 "I had never been to Leah's Wax Works Burwood before, but I thought I'd give it a go. I liked how before starting, the therapist asked if I wanted the top and bottom waxed. Never before had I been asked this. She also did a little trimming for me, which was great, and best of all, my eyebrows actually match! All I wanted was clean eyebrows, and a friendly customer experience, which is exactly what I received today. So again, thank you. From this point forward, I am a loyal customer!" "I would just like to compliment Jessica S, manager of the Hurstville store. She continuously looks after me when I come into the store and treats me perfectly. I'm only 17 and she knows that I'm fragile with specific areas. She continuously puts effort and love into me as a client and she should be applauded."